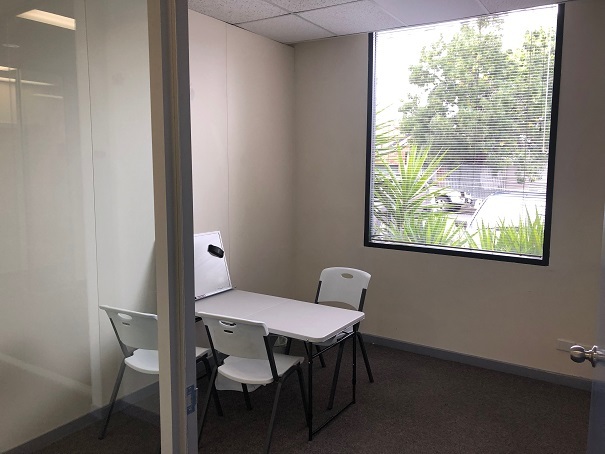 I’m now advertising for an experienced speech pathologist, and a receptionist/office manager, to work with me in my (nearly-all-set-up) large, quiet, well-equipped office in North Fitzroy. 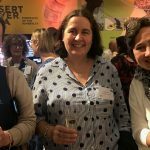 If you want to help me keep this website fresh and interesting, with more videos, reviews and other useful stuff, please tell any great speech pathologist and/or health sector receptionist/office manager who might be interested in these jobs. My caseload is now far too big for one person, admin is eating my life, and I’m fed up with being too tired to work on my website. Also, private practice is too lonely! I want a team of lovely people, to laugh and have birthday morning teas with, and learn from each other. 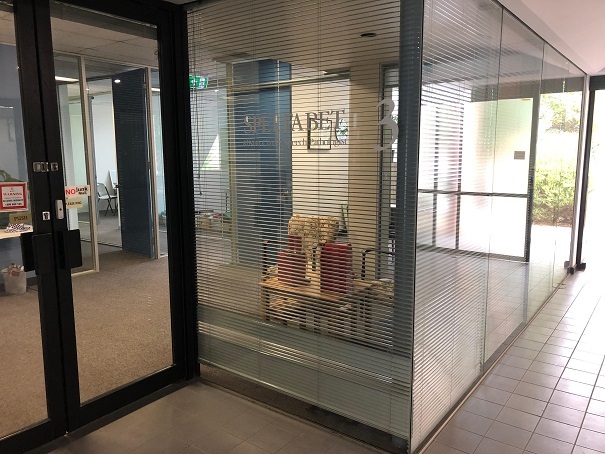 Here’s the ad I’ve just put on the Speech Pathology Australia website, and below it is the ad for a receptionist/office manager I’m about to figure out where to post (Seek? Indeed? Where do Melbourne medical and allied health receptionists look for jobs?). I’ll put photos of the office at the end of this post, to give interested people a better idea of the look and feel of the place. Please pretty please hive mind, send me wonderful people! I promise to be really nice to them. 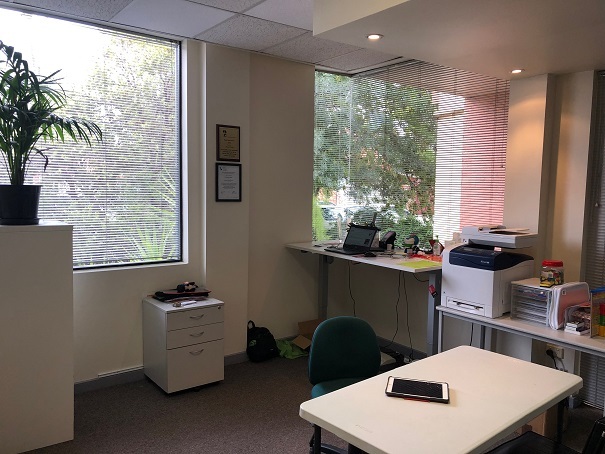 Join Speech Pathologist Alison Clarke in her busy private practice, now called Spelfabet and located in a large, quiet, well-equipped office in North Fitzroy. 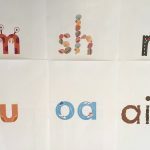 Alison also runs the Spelfabet website (www.spelfabet.com.au) which seeks to promote explicit, systematic teaching about phonemes, graphemes and morphemes as key ingredients in reading and spelling programs for beginners and strugglers. Alison now needs help managing her large caseload, and is also seeking a receptionist/office manager. Over time, she hopes to build a multi-disciplinary team. 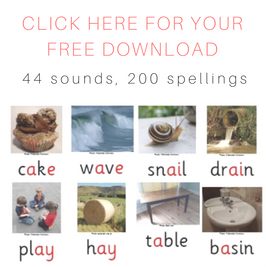 You would assess speech, language, phonological processing, spelling and reading skills, and where relevant pragmatics and play skills, writing these up promptly in succinct, jargon-free reports. You would provide individual and small group therapy to a caseload of mainly school-aged children and teenagers with reading and/or spelling difficulties. 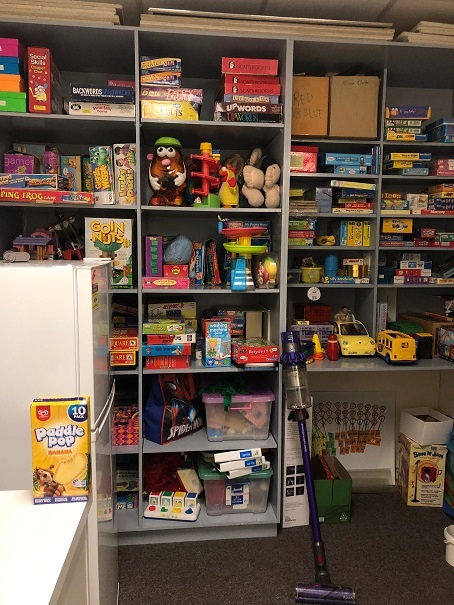 Many clients also have Autism Spectrum disorders, Developmental Language Disorders, speech, memory and/or attentional difficulties or other developmental difficulties. Some have difficult behaviour. Usual hours of work would be 10.30am to 6.36pm weekdays, as most school-aged clients prefer afternoon appointments. Some flexibility in hours is negotiable. Assessment and group therapy sessions are usually one hour, and individual therapy sessions are usually 40 minutes. Maximum client load would be based on qualifications and experience. The position is clinic-based without many school visits or other offsite work, so no driver’s licence or car is required. The location is highly accessible by train, tram, bus and bike, and on-site parking is available. Great cafes and shops, a supermarket and a linear park are all nearby. You would be expected to attend and help provide professional development, help create therapy resources, participate in supervision/mentoring and quality assurance and assist with student supervision. This position is classified at Level 3 under the Health Professionals and Support Services Award 2010. The salary range is $67,849.60- $74,412 per annum plus 9.5% superannuation, depending on qualifications and experience. Working conditions and leave are as per the Award and National Employment Standards. Annual leave during school holidays will be encouraged. VAHPA membership is encouraged, and environmentally sustainable work practices are expected. Joint job-share requests will be considered, especially from speech pathologists already working part-time in schools. A six-month probationary period applies. 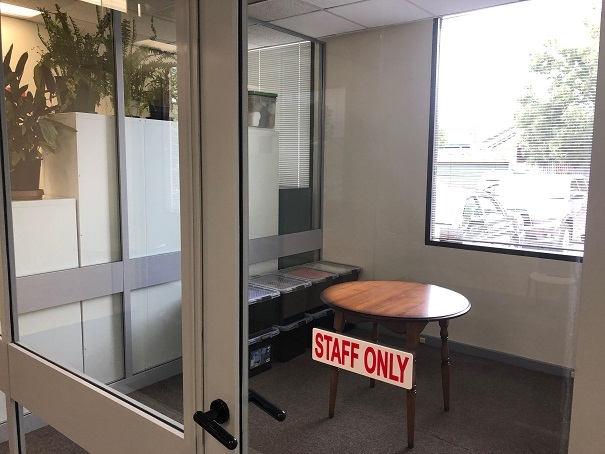 This is an equal opportunity employer, and encourages applications from individuals of diverse backgrounds, including but not limited to those of Aboriginal and Torres Strait Islander, Culturally and Linguistically Diverse background, the GLBTIQ community and those living with a disability. Applications close at midnight on Monday 28th January (the last day of the school holidays) for commencement as soon as possible. You would need a calm, friendly, flexible approach, and the ability to build warm, positive relationships with even anxious, grumpy and socially unskilled children and teenagers, and their parents/guardians. You would need the ability to identify and negotiate barriers to getting enough work done to achieve success, and relentlessly minimise the amount of time wasted in sessions, emphasising motivating goals and rewards. A tertiary qualification in Speech and Language Pathology. A current Certified Practising Membership of Speech Pathology Australia, and eligibility for a Medicare Provider Number. 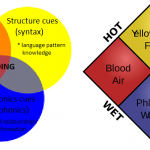 A strong grasp of current science about learning to read and spell, including connectionist and dual route models, SVR, the role of PA and phonological memory, WM and RAN, the Self-Teaching Hypothesis, orthographic mapping and cognitive load theory, and their implications for assessment and intervention. 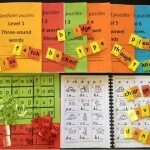 Training and experience using one or more explicit, systematic synthetic phonics programs such as Sounds-Write, Little Learners Love Literacy, Jolly Phonics, Read Write Inc, Get Reading Right, MultiLit or Spalding. 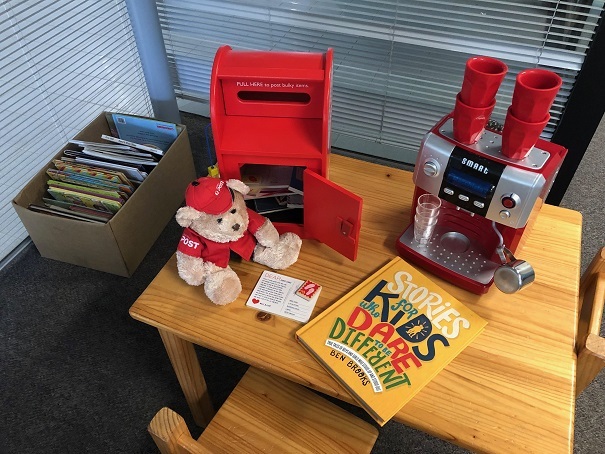 At least five years’ paediatric speech pathology experience, including experience working in schools and with small groups. Demonstrated ability to work independently in a team environment and build positive relationships with colleagues. Outstanding spelling skills and knowledge of English word structure. A current Working with Children Check. Professional Indemnity Insurance (you will be reimbursed). An Australian Tax File Number. Applications should be sent to info@spelfabet.com.au by midnight on 28th January. This is also the email address for more information, or you can phone Alison on 0402 075 306. Alison now needs help managing her large caseload, and is also seeking to employ another experienced Speech Pathologist. Over time, she hopes to build a multi-disciplinary team. You would undertake a range of administrative activities, including scheduling appointments, invoicing, taking and reconciling payments, providing receipts, managing client files, monitoring and ordering supplies, maintaining equipment, setting up and maintaining a book/equipment loan system, managing correspondence including Medicare referral letters, overseeing office cleaning, maintenance and on-site parking, providing administrative support for professional development, making and organising therapy materials, and ordering (but not making) the birthday cakes. Usual hours of work would be 10.30am to 6.36pm weekdays, as most school-aged clients prefer afternoon appointments. Some flexibility in hours is negotiable. The location is highly accessible by train, tram, bus and bike, and on-site parking is available. Great cafes and shops, a supermarket and a linear park are all nearby. This position is classified at Level 8/9 under the Health Professionals and Support Services Award 2010, Support Services Employee Level 8-9. The salary range is $49,935 to $55,827 per annum plus 9.5% superannuation, depending on qualifications and experience. Working conditions and leave are as per the Award and National Employment Standards. Annual leave during school holidays and VAHPA membership are encouraged. Environmentally sustainable work practices are expected. A six-month probationary period applies. You would need a professional, sensitive and friendly approach, including the ability to engage in a calm, reassuring way with anxious children and parents. Experience in allied health and/or medical receptionist roles. Proficiency using practice management software, preferably Cliniko. Experience managing allied health/medical client files, office supplies and equipment. 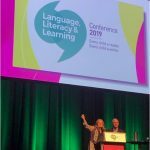 A good understanding of the funding options and rebates (Medicare, DSS, NDIS, private health insurance) available for Speech Pathology services. Demonstrated ability to work efficiently and independently in a team environment, and build positive relationships with colleagues. High levels of maturity, initiative and attention to detail. This is the small clinic room, still not completely furnished yet. The other room is bigger but it’s full of junk at present so I’m not showing you, sorry. They both have full internal blinds for privacy/to reduce distractions. Staff and sensitive storage room. Again, still working on more furniture. 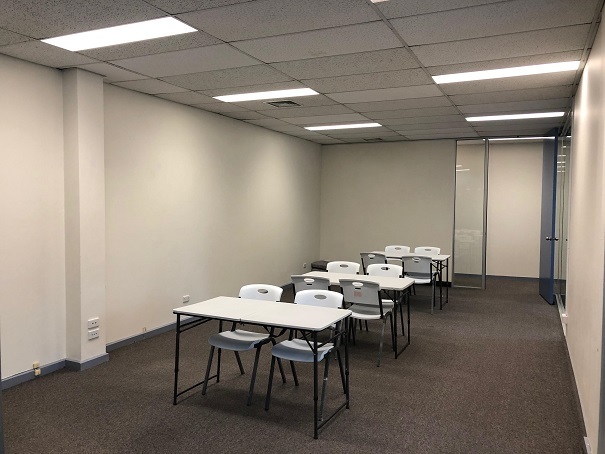 Group room. I still have to get a projector and whiteboard, maybe an interactive one if budget permits. I do not have a ping-pong table. Yet. 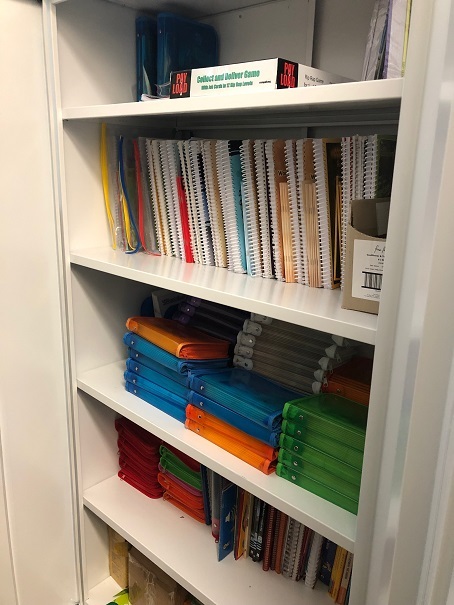 Example cupboard of PA and phonics teaching resources. Main storage area, please note powerful, brand new stick vacuum cleaner, because children. Also emergency banana Paddle Pops, as I once shared a house with Laurence Mooney, who says any food with the word “pops” in it makes you instantly happy. I believe him. Kitchen stuff, to encourage the bringing and making of healthy lunches. I like to give little kids an opportunity to make their parents a nice air latte in the waiting room. Will get a bookshelf to replace the cardboard box. And comfy couch or two. 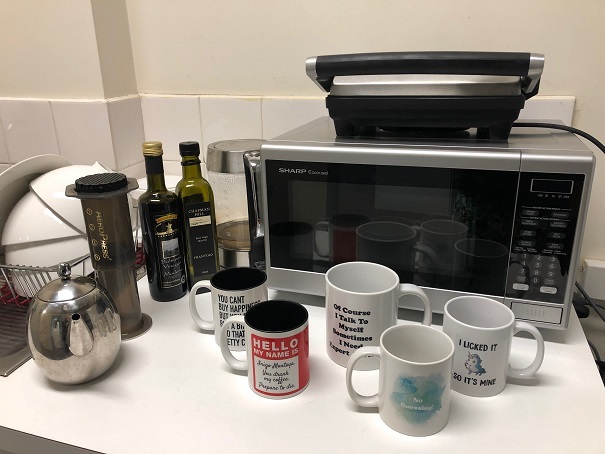 This is my office, note the standing desk, which we are all having, because sitting down too much is bad for your health. 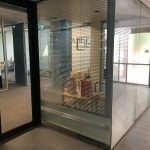 This entry was posted in Uncategorized and tagged Employment at Spelfabet, jobs at Spelfabet, Office manager job, Receptionist job, Speech Pathology job in North Fitzroy, Speech Pathology job Melbourne's inner north, work at Spelfabet on January 16, 2019 by alison.